A discharge in bankruptcy generally covers any claim against an individual debtor arising before the filing of a Chapter 7 bankruptcy case, or arising by the time a Chapter 11 or 13 plan is confirmed and the debtor is discharged. The term “claim” is broadly defined under the federal Bankruptcy Code to include an unmatured or contingent claim, or a right to an equitable remedy for breach of performance provided such breach gives rise to a right to payment. In a recent decision, the Kansas Bankruptcy Court held the debtor’s discharge in a Chapter 7 case did not release him from a covenant not to compete. Under the facts, the debtor sold his company before bankruptcy and went to work for the buyer. In connection with the sale, the debtor entered into an agreement not to compete for five years. The agreement also provided that if it was violated, the buyer would be entitled to an injunction and liquidated damages of $50,000 per violation. Thereafter, the debtor filed a Chapter 7 case and was fired after his discharge was granted. Subsequently, the buyer sued the debtor in state court to enforce the covenant not to compete and successfully obtained a temporary injunction. Since the debtor argued that his obligation not to compete was discharged in his bankruptcy case, the purchaser also filed a complaint in the Kansas Bankruptcy Court requesting a declaratory judgment that its claim for violation of the covenant not to compete was not discharged. The court held that the debtor’s discharge did not release him from his non-compete obligation. First, the court determined that the debtor’s non-compete obligation was not a “claim” under the Bankruptcy Code because it did not give rise to a right of payment (the buyer’s right to liquidated damages was in addition to equitable relief). In addition, the court noted that even if the obligation was a claim, it did not arise until after the bankruptcy filing and thus could not be discharged in a Chapter 7 case. Second, the court ruled that the non-compete agreement was not “executory” and thus the trustee’s rejection of executory contracts in the Chapter 7 case had no impact on the non-compete obligation. Further, citing to a decision of the Maryland Bankruptcy Court, the court reasoned that even if the agreement was executory, the rejection of it only would have relieved the bankruptcy estate from liability as opposed to the debtor himself. While this decision is consistent with the majority of the courts that have ruled on the non-compete issue, courts have struggled with the application of the Bankruptcy Code to the issue as the Code was not written with covenants not to compete in mind. For more information on this topic, please contact Larry Coppel. Control over domain names can be precarious. Innocent mistakes and inattentiveness can cause the loss of control of valuable domain names. When buying assets of a business, purchasers should be sure the domain names are included in the sale. It is also important to update the contact emails connected with all domain names purchased. When a credit card is compromised or updated, domain name owners should be sure to notify the domain vendor and provide the new credit card number information (so there is no inadvertent lapse in ownership). Companies that inadvertently allow their domain names to expire may have to pay a ransom to gain control back, or may need to enter arbitration to get the domain name back. In addition, having a registered trademark that is identical to a domain name is a valuable tool in wrestling domain names back from cybersquatters. For other IP tips, read Gordon Feinblatt’s Technology & Intellectual Property Team’s bi-weekly IP Techknowledgy blurbs here or follow us on twitter at @GordonFeinblatt and with the hashtag #iptechknowledgy. In a recent opinion issued by the United States Court of Appeals for the Third Circuit, the court addressed whether a debt collector violated the federal Fair Debt Collection Practices Act (FDCPA) by including a seemingly innocuous statement in a collection letter that had no relevance to the debt. In this case, the debt collector sent several letters to a married couple in which it offered discounts if the subject debts were paid by certain dates. The letters, which likely were form letters, noted that the debt collector reports the forgiveness of debts as required by Internal Revenue Service (IRS) regulations and stated that a report is not required in every case and “might not be required in your case.” Unfortunately for the debt collector, IRS regulations require a report only when the amount forgiven is $600 or more. None of the plaintiffs’ debts met that dollar threshold (forgiven amounts on multiple debts to the same debtor are not aggregated for this purpose). The debtors argued that the inclusion of a statement that the collector reports discharges as required by IRS regulations was, in their case, simply a scare tactic designed to convince them to pay the debts in full. The debt collector argued that there was nothing untrue or misleading about its statement because it does, in fact, report discharges to the IRS as required by law. 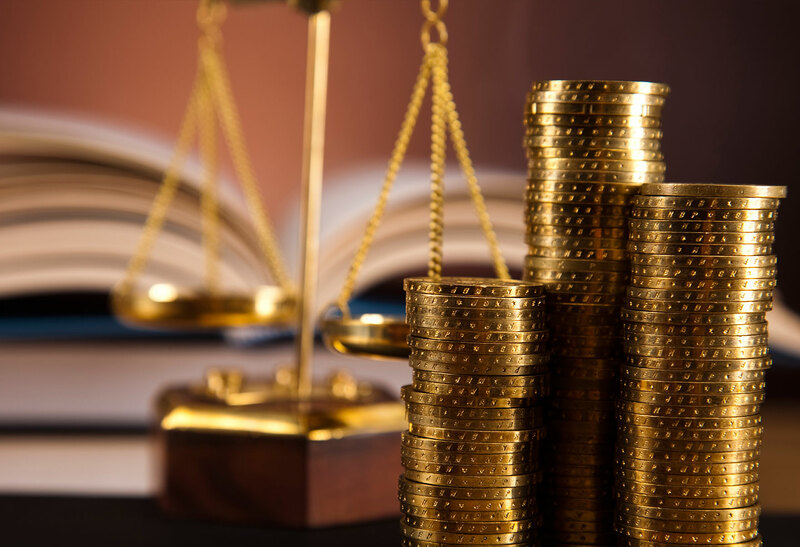 The court sided with the debtors, however, and held that the inclusion of such a statement could cause the least sophisticated debtor (the pleading standard) to think that the discharge of any portion of his or her debt, regardless of amount, might be reportable. Because the FDCPA prohibits a debt collector from threatening to take any action that cannot legally be taken or that is not intended to be taken, the court held that the debt collector’s statement violated the FDCPA because it knew that any discharge would not – could not – result in a report to the IRS. The debt collector countered that the statement at issue must be read in concert with its qualifying statement that a report might not be required in the debtors’ cases, which it believed ameliorated the court’s concern. The court, however, disagreed and found that the qualifying statement actually made matters worse, because the use of “might not be required in your case” could lead the least sophisticated debtor to believe that reporting might be required and could happen. In short, because none of the plaintiffs’ debts totaled $600 or more, it was not a question of “might not happen” but of “could not happen,” and the inclusion of any statement that could lead the debtor to think otherwise constituted the making of a false, deceptive, and/or misleading representation in violation of the FDCPA. The moral of this story – as is the case with most legal issues – is that words matter and, sometimes, less is more. It should be noted that the FDCPA applies only to a person who meets the definition of “debt collector,” which, subject to certain exceptions, includes only a person who collects debts owed or asserted to be owed to another person. Thus, a person who collects debts that it owns is not, as a general proposition, a debt collector subject to the FDCPA. It should also be noted, however, that the Maryland Consumer Debt Collection Act applies to creditors and collectors alike, and, similar to the provision of the FDCPA that was implicated in this case, it prohibits a person from claiming, attempting, or threatening to enforce a right with knowledge that the right does not exist. Please contact Andy Bulgin if you would like to discuss the implications of this case. On September 28, 2018, the Office of the Comptroller of the Currency, the Board of Governors of the Federal Reserve System, the Federal Deposit Insurance Corporation, and the National Credit Union Administration, with the concurrence of the Financial Crimes Enforcement Network ("the agencies"), agreed to exempt loans extended by banks, credit unions, and their subsidiaries from the customer identification program rules adopted pursuant to the USA PATRIOT Act where the borrower is a commercial customer and uses the proceeds to purchase a policy of property or casualty insurance. The agencies granted the exemption based on the fact that these types of loans present a low risk of money laundering because: the loan proceeds are remitted to the insurance company (either directly or by an insurance broker or agent) rather than to the borrower; property and casualty insurance policies have no investment value; and borrowers cannot use the loan account to purchase other merchandise, deposit or withdraw cash, write checks, or transfer funds. The order granting the exemption was distributed with the agencies’ Financial Institution Letter FIL-52-2018. Please contact Andy Bulgin if you would like to discuss the order’s impact on your institution’s activities. The failure of a creditor with a perfected lien to file a timely continuation statement under Section 9-515 of the UCC causes a lapse in the effectiveness of its financing statement, which may permit a junior creditor to take the senior secured position. However, a recent decision from the United States Bankruptcy Court for the District of Maryland determined that a borrower’s bankruptcy alters the effect of a post-petition lapse of the financing statement. In this case, two lenders each had a perfected lien on all of the borrower’s assets. When the borrower filed a bankruptcy petition, both lenders’ liens were perfected. Thereafter, the senior lender filed a continuation statement two weeks after its original financing statement lapsed. The trustee liquidated the borrower’s assets, and the junior lender argued that its perfected financing statement moved into first priority position due to the lapse of the senior creditor’s financing statement. The Court recognized that under nonbankruptcy law, the junior lender’s lien would move into first priority position. However, relying on the “freeze rule,” which fixes liens as of the petition date, the Court determined that the senior lender did not lose its priority as a result of the post-petition lapse of its financing statement. The Court rejected the junior lender’s argument that the 1994 amendment to Section 362(b)(3) of the Bankruptcy Code, excepted from the automatic stay an act to maintain or continue perfection of an interest in property, evidenced a legislative intent to nullify the freeze rule. The Court noted that the statute is permissive rather than mandatory (i.e., the creditor is allowed to maintain perfection but is not required to do so). Similarly, the Court rejected the argument that the 2001 repeal of UCC Section 9-403(2), which eliminated a tolling provision for lien creditors after a borrower’s bankruptcy, demonstrated a legislative intent that a lapse of a financing statement should have the same effect inside of bankruptcy as it would outside of bankruptcy. This decision should provide greater certainty to secured lenders when their borrowers file for bankruptcy, as the status of lien priority at the petition date will control throughout the duration of the bankruptcy case. Nonetheless, because the “freeze rule” has no effect outside of bankruptcy, continued maintenance of financing statements is advisable, especially in the event the borrower’s bankruptcy case is dismissed. Please contact Bryan Mull with any questions concerning this topic. During 2017, the Maryland General Assembly enacted a new law that requires a person authorized to sell residential real property subject to a foreclosure to file a notice with the Maryland Department of Labor, Licensing, and Regulation (DLLR) containing certain information related to the property. See Chapters 348/349 of the 2017 Laws of Maryland (introduced as SB875/HB1048). The notice to be provided to DLLR includes basic information, such as the property’s address, tax identification number, whether the property is vacant, and if known, the owner’s contact information. The notice must be filed within seven days of filing the foreclosure order to docket. This law had a delayed effective date until October 1, 2018. On September 19, 2018, DLLR (Commissioner of Financial Regulation) issued an Advisory Notice – Regulatory Alert describing the new online Foreclosure Registration System that persons authorized to sell residential real property will use to submit the information. Persons that are employed by or otherwise represent a lender, secured party, or purchaser of a foreclosed property will need to establish a Company Account to use the Foreclosure Registration System. More information can be found here. Please contact Margie Corwin if you have any questions. As reported in our 2018 Maryland Laws Update, part of the Maryland Financial Consumer Protection Act of 2018 (the result of work by the Maryland Financial Consumer Protection Commission) addressed student loan servicing. The law mandates that the Commissioner of Financial Regulation designate an individual to be a Student Loan Ombudsman, who will serve as a liaison between student loan borrowers and student loan servicers. The law requires all student loan servicers to “register” with the Ombudsman and identify (name, phone number, and e-mail address) an individual to represent the servicer in communications with the Ombudsman. Somewhat troubling, and due to a last minute amendment during the legislative session, the definition of “student education loan” is broader than that term as defined under federal law, which caused confusion as to who needs to register a contact person with the Ombudsman. On September 28, 2018, the Commissioner issued an Information Bulletin that, in question and answer format, not only describes actions that student loan servicers must take but also clarifies what is a student education loan for this Maryland law. The Bulletin will greatly assist lenders in understanding whether they need to register with Maryland’s Student Loan Ombudsman. We are grateful to the Commissioner for this guidance. Please contact Margie Corwin if you have any questions.